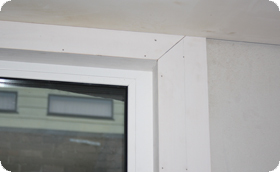 To maintain quality and ensure your Double Glazed Windows and Doors perform consistently well in any weather, it is imperative that all gaps are closed. Depending on whether the installation was performed externally or internally, the best sealant will be selected. Just as there are many different types of grades of windows or hardware, there are many different grades of sealant quality. 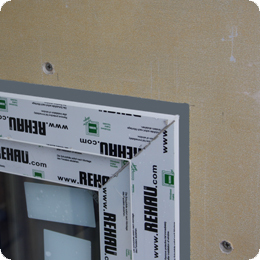 We only use high performance products to ensure the window and door quality is not compromised. Sealant bead at the final stages of installation ensures the possibility of draughts is eliminated and there is no recess that water can penetrate and cause damage, and leaves the appearance of neatness and attractiveness. Many people have the impression that all silicone gels on the market are the same, but we have found that their properties and, therefore, suitability varies dramatically. Generally, the descriptions of silicone offer little information as to the correct grade and type for a given application, and because of performance variability, there is no one type of silicone sealant that should be used for everything. Using the incorrect silicone or improper use may cause joint failure, contamination of surfaces because of poor application, excessive movement in the sealed joint. To avoid contamination of surfaces, the installer should ensure that the surfaces are clean, all protective tape is removed and that there is no residue. For deep or wide joints, the installer can fill rhe recess with foam packer rod. With regards to modulus - silicon sealants are normally classified for use in either glazing, or for building joints other than glazing. In addition, there are further classes of capacity for movement capability, being the high and low modulus. The lighter the force that needs to be applied to stretch it, the lower the modulus. This also means it will be more elastic and have higher movement accommodation. By contrast, the higher the modulus, the more rigid and the smaller the movement accommodation is expected. 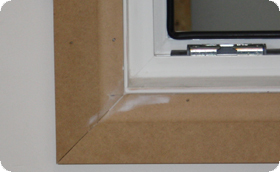 For work with upvc window frames, it is advisable to use low modulus silicon, because of requirement of high movement accommodation.Many people have the impression that all silicone gels on the market are the same, but we have found that their properties and, therefore, suitability varies dramatically. Generally, the descriptions of silicone offer little information as to the correct grade and type for a given application, and because of performance variability, there is no one type of silicone sealant that should be used for everything. Using the incorrect silicone or improper use may cause joint failure, contamination of surfaces because of poor application, excessive movement in the sealed joint. To avoid contamination of surfaces, the installer should ensure that the surfaces are clean, all protective tape is removed and that there is no residue. For deep or wide joints, the installer can fill rhe recess with foam packer rod. In relation to cure, the terms 'Acetoxy' and 'Neutral' are derived from the curing system, or more precisely the by-products that are emitted as the silicon is made. The type of silicon used will determine how well it will adhere to the materials it is used on. Acetoxy silicone sealants release acetic acid when they cure. Neutral or Alcoxy Neutral silicone sealants release alcohol as they cure. 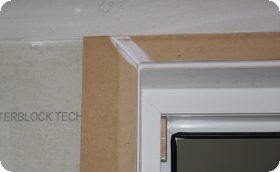 When silicone peels off without assistance, Acetoxy cure silicon was used on upvc frames. By contrast, if it is not possible to disconnect without a silicone remover solution, then a Neutral cure silicon was used. Price-wise, the difference between low modulus and high modulus is not significant, but the price difference between Acetoxy cure and Neutral cure is evident, and it is disappointing to see evidence of wrong silicon being used for some jobs by renovators or even independent tradespeople. Acetoxy cure is very common, it is more rigid and quick. The main disadvantage is generally, it has poor adhesive function and leaves something to be desired in how well it bonds to plastics, glass, aluminium and Polycarbonate. Shrinkage can be acceptable if it does not contain added solvent. Neutral cure has much better adhesive properties for a greater number of materials including upvc, glass, aluminium, lead, stone and masonry, and Polycarbonate, it cures with atmospheric moisture and skins over in about 30 minutes, and leaves a shinier, more attractive finish. The negatives include that it is more expensive, and is slower to cure at one to five days depending on thickness, temperature and humidity conditions. Low Modulus Neutral Cure Silicone offers high movement accommodation and excellent adhesion to almost all building and glazing materials, without any of the unwanted 'side effects' that Acetoxy could possibly cause. 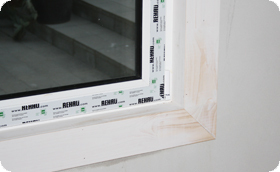 For consistently great results in terms of movement accommodation for upvc, good bonding and lasting durability it is necessary to use Low modulus & Neutral cure silicon for primary frame installation. The least appropriate choice for upvc is High Modulus Acetic cure silicon, because although at first, it can initially adhere, it will surprise you how quickly the adhesion will deteriorate and detach. Sometimes salespeople will try to sell you a cheap substitute, but only too often it is at the expense of quality. When comparing silicones and their prices, it is useful to check if the movement capabilities listed on the container are appropriate. This is recommended because some sealants can contain additives such as fine chalk powder, which is not an active ingredient, in order to make a cheaper and of course inferior product. The downside of using a silicone which has been filled with chalk is that as well as a higher than desired shrinkage when it has cured, there may also be discolouration, and poor adhesion. We carefully select our suppliers and conduct weathering and wear tests to comply with the high standards we set for ourselves. We offer a complete service so that our clients need not to worry! Our attention to detail during manufacturing and installation is unsurpassed and because we take personal satisfaction to delivering exceptional results in performance for our customer.